Add some classic elegance to your surroundings with this finely detailed embossed urn. 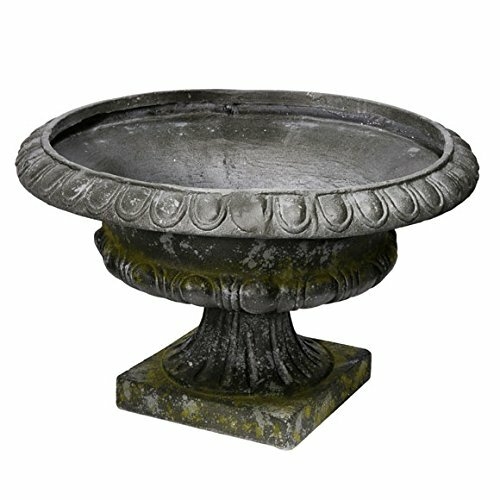 This gorgeous Ever Stout Planter Urn finished in antiqued gray will make an impressive addition to any room or garden. Slate gray finish. Made of 60% magnesium, 20% inorganic, 20% fiber. Measures D24"x15".